Ah, camp. Just the thought of it almost reduces me to tears, bringing me back to the unforgettable memories ingrained in my brain from the best 7 weeks of my life. It was in camp that I discovered many things about me and certain lessons I learned that you just can’t get anywhere else. I force myself not to think about camp during the school year, because the mere word sends memories spiraling down the road of happiness, and it is too much to bear knowing there are still so many more months until I can find my true home. CWW is truly a magical place, a home away from home. It sounds like the perfect slogan that every sleepaway camp uses on the front of their brochure, but this time, it really rings true. Every morning there is a special something in the air, getting you to wake up with an ear to ear smile on your face. There is an atmosphere of genuine happiness, and you can rise above all of your problems and be free to just have fun. I, for one, learned there are a boundless amount of tears can come out of you. I spent almost every single day doubled over at one point, laughing so hard that tears started to stream down my face. I could spend hours describing my favorite attributes of Camp Walt Whitman, but like I said, it would take hours. The one thing that I really took away from camp was the deep friendships you can instill. Sleepaway camp is like the greatest social experiment ever created. You and around 12 other kids your age are in a bunk, and will see each other 25 hours a day, 7 days a week, for 7 weeks. You get to see every side of perfect strangers, and honestly, I know my camp friends better than the people I’ve known my entire life. 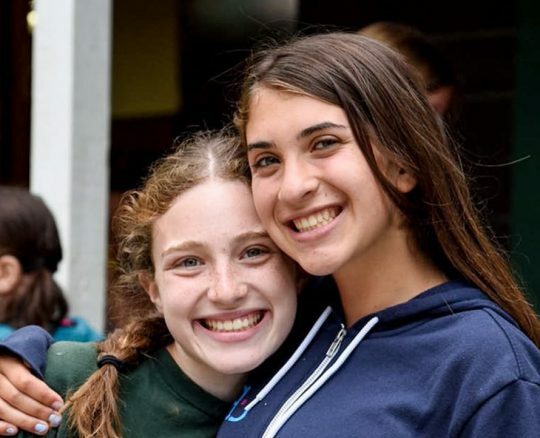 Throughout the days, your whole camp experience revolves around your friends, and every waking moment is spent laughing, talking, playing, eating, really doing everything with them. It doesn’t matter how different they are from you, because they stay in your heart forever. 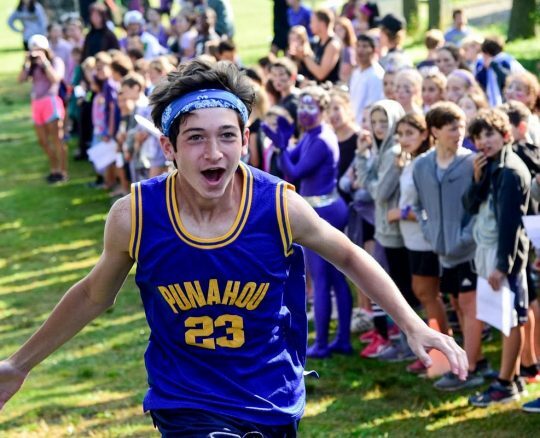 The pure fun that you have at Walt Whitman is another thing that makes it so special. Everyone there, staff member or camper, is there to see you smile. The activities are meant for you to enjoy, the loud shouts of encouragements from your specialists are there to make you inspired, and there to make you and everyone else happy. The non-competitive atmosphere also creates a no pressure environment. Sure, we have inter camps and challenges, but they are more about seeing new people and places than winning. One unimaginably fun thing we do is have campfires , where storytelling and singing songs occurs, and you can see everyone’s faces rapt with attention and awe. For me, one of the best parts of CWW is the hiking. 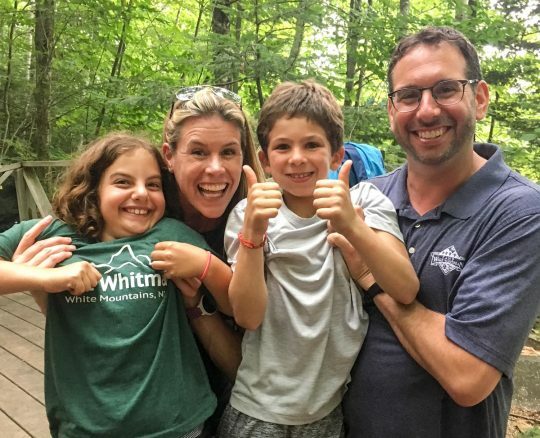 We are nestled right in the White Mountains, and the trailhead that begins Mount Piermont is right at camp. When you start a hike, the overwhelming beauty and unreal colors takes your breath away, no matter how many times you step. Sometimes you walk in silence, with the company of your own empty head, and sometimes you share the infectious laughter as you tell jokes and stories with friends. Either way, it is insurmountably rewarding, whether it be three miles or 13. Overall, you may not believe in magic until you see and become part of the world of Camp Walt Whitman. It changed and still changes my life in many ways, and I hope to keep returning as a loyal Whitmanite, year after year after year.